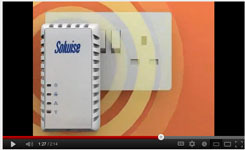 The Solwise NET-PL-200AV-PEW-N HomePlug AV 200Mbps can transform your home power lines into a networking infrastructure. 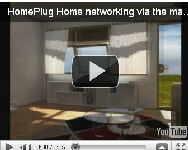 HomePlug is a fast and simple way to connect to the Internet with easy connection between your computers, games consoles, laptops, smart phones anywhere in your home where you have a mains socket. With the addition of a built-in 300Mbps, 11n 2,4GHz Wireless Access Point, the PL-200AV-PEW_N is ideal for getting wireless access to the dead spot areas in your home. It may be that your Wireless Internet router is the other side of the house meaning that you have no Wireless signal in the conservatory. 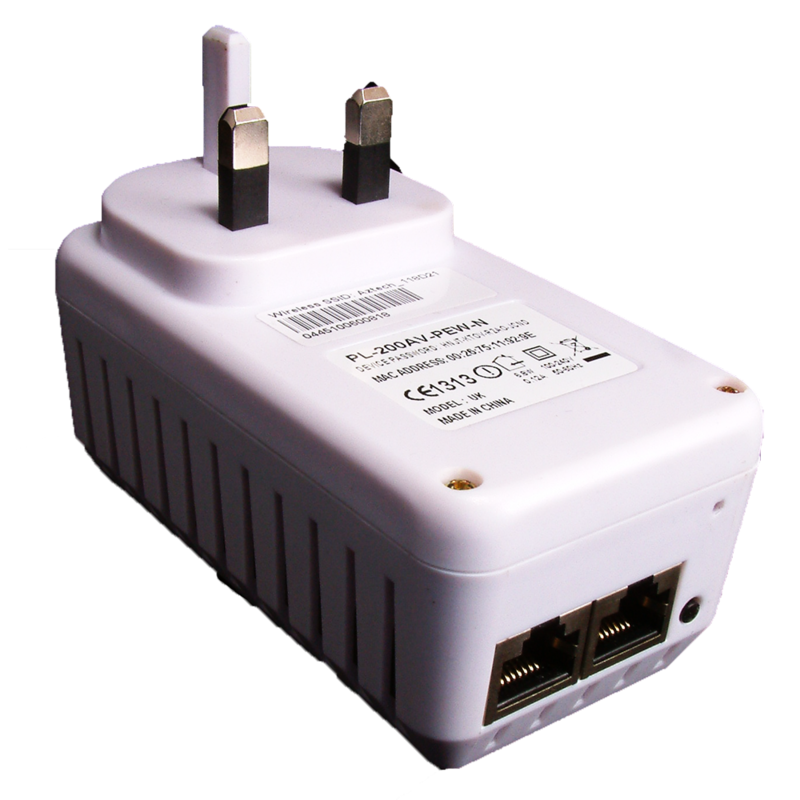 After attaching a standard Ethernet plug to your router, simply plug the WiFi HomePlug adapter into the mains socket in the conservatory creating a WiFi hotspot. You need at least two HomePlugs to create the connection. 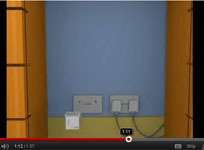 Traditionally, one plug is connected to your Internet router, the 2nd plug is placed in the remote area, such as your lounge, study or kitchen. 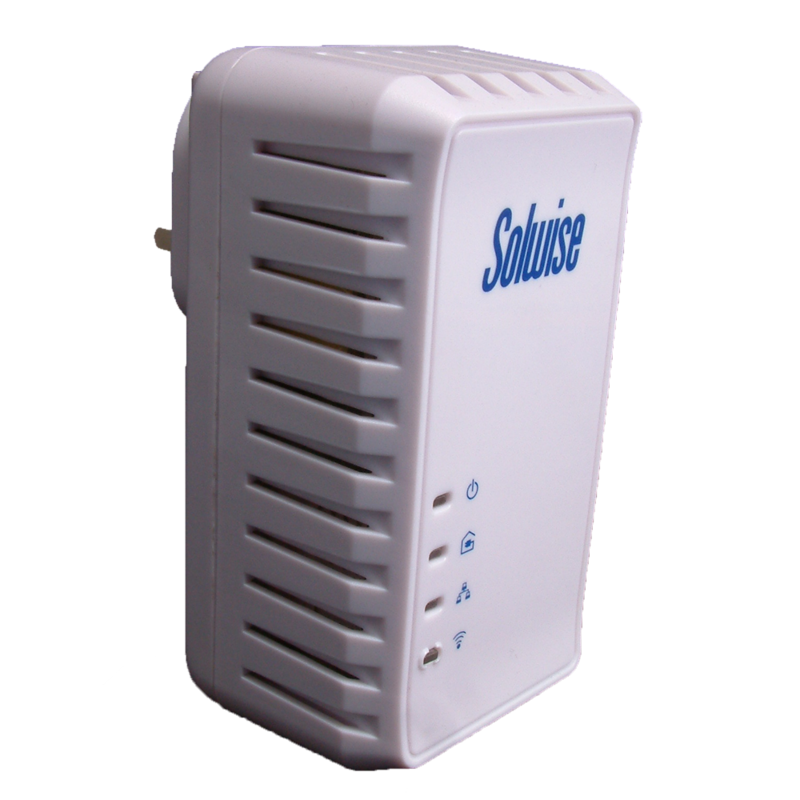 The Plug connected to the router, takes the Internet signal and transfers it along your mains wiring, the 2nd plug takes the signal and distributes it via the Ethernet port directly to your device. 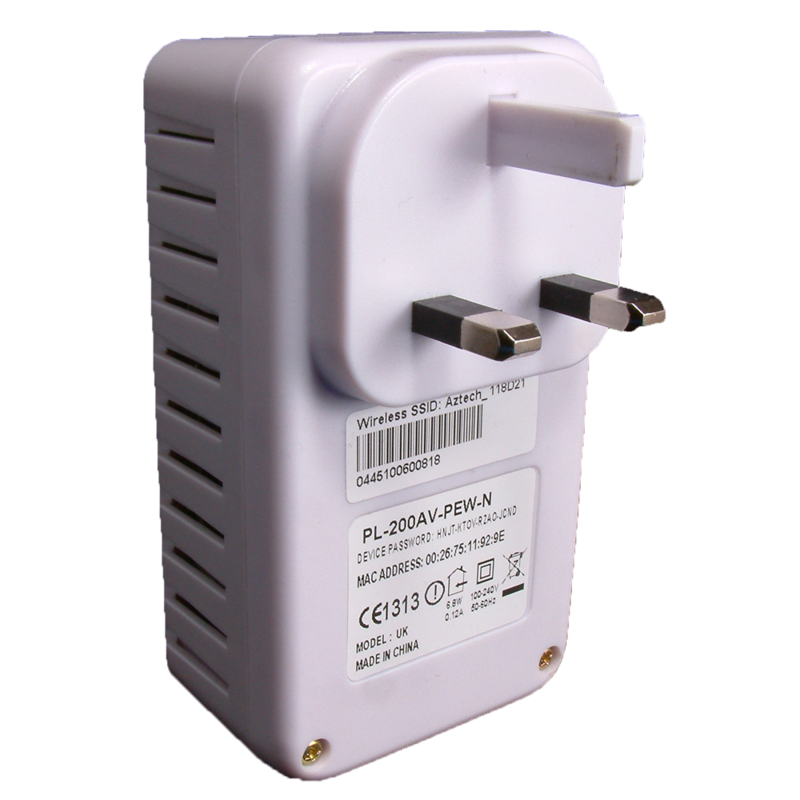 The PL-200AV-PEW-N has two Ethernet ports making this adapter extremely flexible! 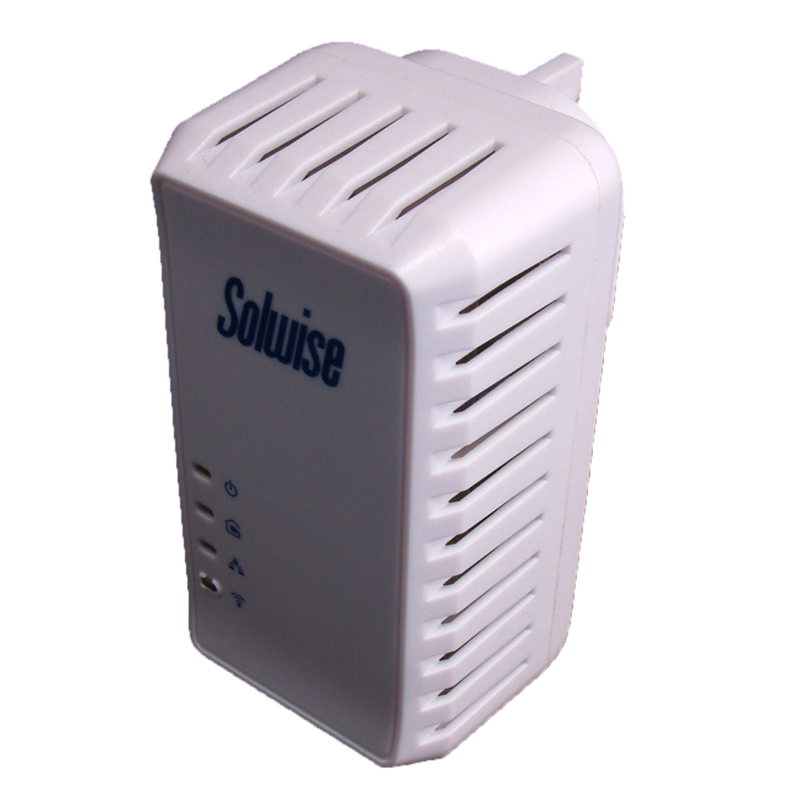 Powered by the Qualcomm Atheros high-speed INT6400 chipset this Solwise 200AV adapter is compliant with IEEE1901 and Homeplug AV, allowing hassle free compatibility with existing Homeplug AV devices and other suppliers of HomePlug AV devices. 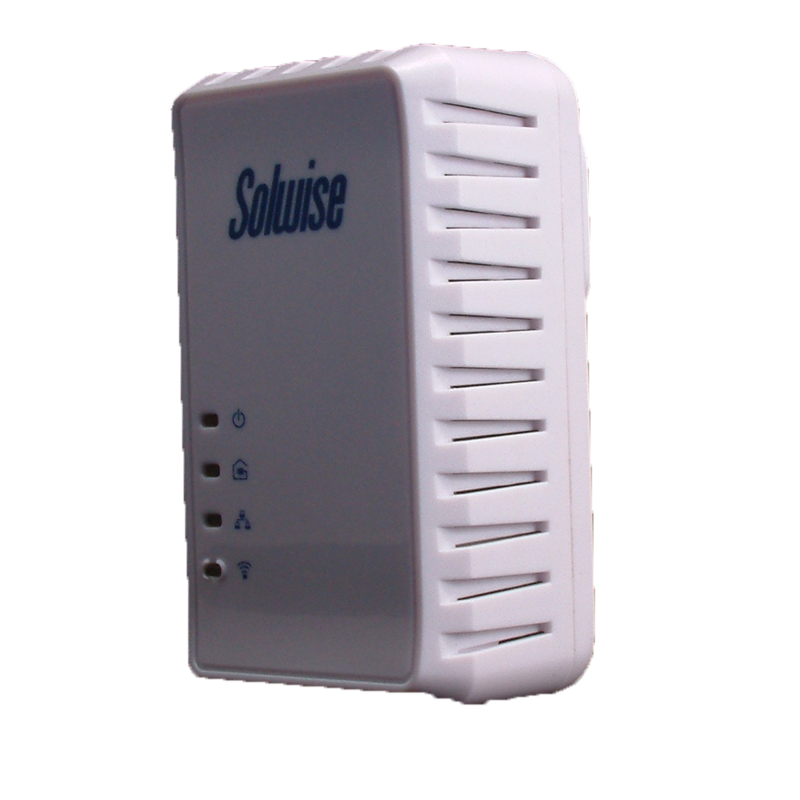 The Solwise 200AV adapters all have a configuration push button for a convenient way of creating a secure HomePlug network without the need to use software. Security support is by 128-bit AES Hardware encryption, ensuring the network is secure. 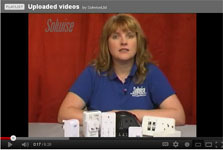 Why can buying a HomePlug be so complicated? Surely a plug is just a plug, don't they all do the same thing? Why can buying a HomePlug be so complicated? Surely a 200AV plug is just a plug, don’t they all do the same thing? Why are they all so different in price when at the end of the day they all look the same? Well the truth is, although they might all look much the same, the inside can vary immensely from plug to plug. What many people don’t understand is that there are different chipset levels. What is a chipset? A chipset is a set of electronic components in an integrated circuit that manages the data flow between the processor, memory and peripherals. Chipsets are usually designed to work with a specific family of microprocessors. Because it controls communications between the processor and external devices, the chipset plays a crucial role in determining system performance.